Cream butter and Crisco. Add sugar, beat well. Add egg yolks and beat. Add flour and soda. Alternate with buttermilk. Stir in vanilla. Add coconut & nuts. Fold in stiffly beaten egg whites 2 Tablespoons at a time. 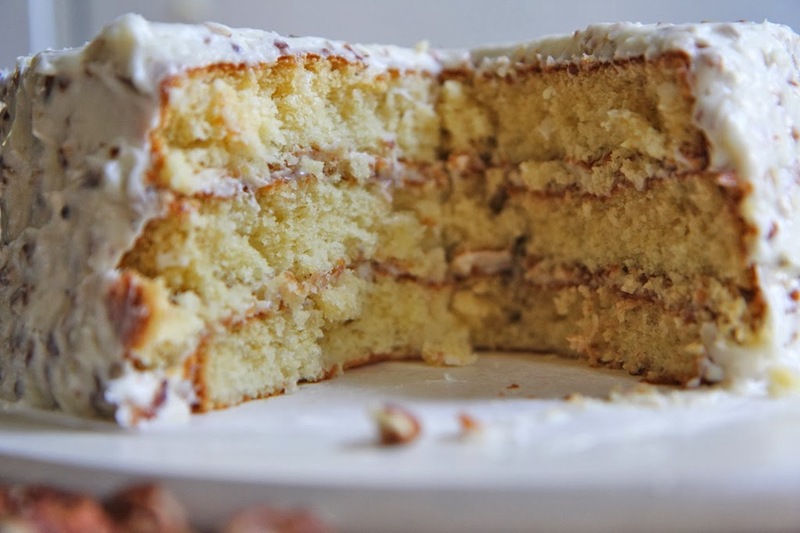 Pour into greased and floured 9 in cake pans and bake at 350 for 20 – 25 min or until toothpick comes out clean. Cool and frost with cream cheese frosting. Mix cheese and butter, add sugar and vanilla. Frost Cake and sprinkle nuts on cake.